This walk-in ACE location is at the SE corner of the intersection at E. 6th Street and Fuller Street. There are plenty of parking options at this location. Bus line Red of Corona Transportation stops at 610 E. Grand Blvd and Sixth St., right at this ACE location. Check CT’s website for bus routes and times. Donut Star, Taqueria 2 Potrillos, Patty Soccer, Page Automotive, and Silver Dollar Pancake House are all within walking distance of this location. 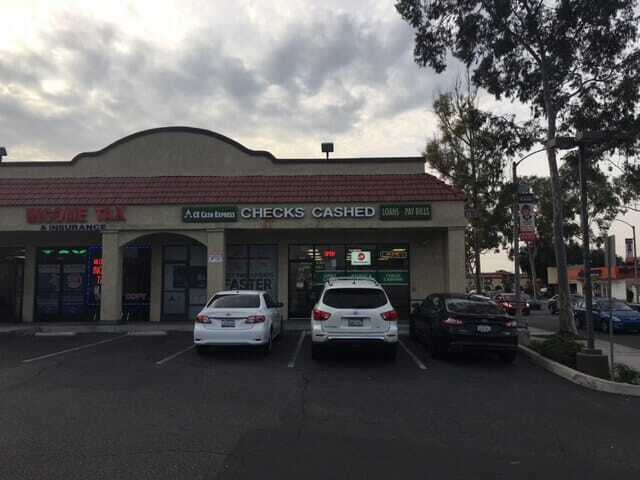 Auto Title Loans Powered by LoanMart in Corona at ACE Cash Express! Auto title loans powered by LoanMart allow you to use your vehicle title as collateral in order to borrow funds. And if you continue to make regular monthly payments on time, you may retain full use of your vehicle! It’s completely free to apply for an auto title loan powered by LoanMart, so why not start today? Visit an ACE Cash Express near you to get started! Don’t let money troubles keep you from living your life. Apply for an auto title loan powered by LoanMart in Corona today! Your helpful agent will walk you through the title loan process and once approved, you my pick up your money at an ACE Cash Express near you!